An entrepreneur and over a dozen hip-hop artists are suing CBS over its part in contributing to piracy. The suit, filed by FilmOn founder Alki David in federal court on Wednesday, accuses CBS's CNET arm of exacerbating piracy problem by distributing LimeWire software on its website. David's FilmOn was sued last year by the major broadcast networks--for allowing users to stream live over-the-air broadcasts. Taking this into consideration, David's suit seems a little retaliatory. Either way, CBS' connection to piracy is somewhat tangential. The company acquired CNET in 2008, and LimeWire was only operational for two years following the acquisition--until its permanent shut down last October. CNET runs Download.com, which is where pirates could have obtained LimeWire during its heyday. David may have been planning his suit for some time: he runs a YouTube channel with the username "cbsyousuck." He has also posted several videos that point out CBS' apparent piracy hypocrisy. "CNET, a subsidiary of CBS Interactive which is a division of CBS, has been for several years now distributing BitTorrent softwares," David states in one of his videos. He claims that CBS (through CNET) has distributed over one billion "illegal file-sharing softwares," as well as "hundreds" of DRM-cracking softwares. 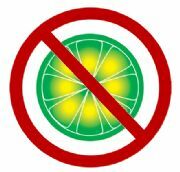 David's complaint against CBS states that 95 percent of LimeWire's downloads came from CNET, which would have equated to about 220 million downloads. The complaint also says that CBS executives were fully aware of their participation in distributing file-sharing software, and that they profited from doing so. "As more and more artists join this lawsuit, it will become the most significant copyright infringement lawsuit in history," David said in a statement announcing the suit. Did David Pick the Right Lawyer? In an ironic twist, the lawyer representing David and the artists is actually the same one who fought against a similar suit filed against AOL Time Warner for its distribution of the P2P client Gnutella. Michael Zeller of Quinn Emmanuel successfully had this case dismissed, and could find himself arguing against...himself. CBS may use Zeller's own case as precedent for why it should also not be held liable for the actions of users once the software has been downloaded. That David's suit seems retaliatory, and that David's own company is being investigated with regards to piracy, may also strengthen CBS' case.